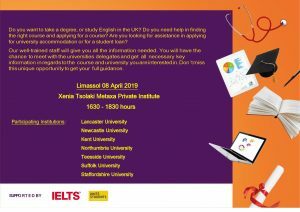 Do you want to take a degree, or study English in the UK? Do you need help in finding the right course and applying for a course? Are you looking for assistance in applying for university accommodation or for a student loan? Our well trained- staff will give you all the information needed. 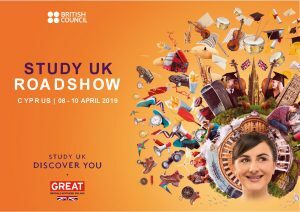 You will have the chance to meet with the universities delegates and get all necessary key information in regards to the course and university you are interested in. Don’t miss the unique opportunity to get your full guidance.